The Warsaw Chapter focuses on creating an exchange and networking platform for the growing number of Mobility and HR professionals in Poland and providing a platform for learning and knowledge exchange. Dariusz Jachna from Crown World Mobility leads the FEM Warsaw Chapter. Dariusz will be working with Subject Matter Experts across various industries from the Mobility and Benefits field as part of a Steering Committee to grow the platform and support the events that will welcome HR, Mobility and Benefits professionals joining together to discuss range of issues affecting various Mobility and Expatriate Management agendas in Poland and CEE. Dariuz Jachna has been working with Crown since November 2010. In June 2012 he had taken the role of Business Development Manager and since then was responsible for the development of Crown in Poland by implementing Crown's business development strategy, identifying new opportunities, maintaining key relationships with major corporates like Citibank, Henkel, P&G and Novartis. He has gained international relations experience also in his earlier engagements working in finance industry for American Investment Fund Pioneer, Danish fashion retail chain Bianco Footwear, German Publishing company KG Saur/ ABE Marketing allowing him to know how to adapt. Dariusz has first-hand experience of relocating, having spent time living and gaining his education in the USA and the Netherlands. He keeps close contacts with Expat community and is a frequent traveller. Dariusz’s native language is Polish and he is also fluent in English. The Steering Committee brings a valuable experience and expertise from different functions across the Mobility spectrum. Magdalena Marchlewska works at PwC as a Global Mobility Senior Consultant for the Central and Eastern European countries and is responsible for managing the international assignments within the PwC network. Since 2011, she has been gaining HR experience in Big4 and having graduated in HR Management from Warsaw School of Economics, she continued her career with a focus on the Global Mobility area. Magdalena has participated in the London Global Mobility Summits organised by the Forum for Expatriate Management which triggered her interest in contributing to the FEM's Warsaw Chapter as the first event of its kind dedicated for GM professionals. Gracjana Kubak is responsible for managing outbound and inbound international moves at Citibank as part of the CEE HR Hub. Responsible for end to end process with supporting the relocation of expatriates and family in different time of their careers. Gracijana is responsible for advisory on taxes, local rules and regulation as well as best practices for hiring expatriates from abroad for Citi Poland. Katarzyna Przybysz leads the Global Mobility function for DSV Global Transport and Logistics. As well as being responsible for the operations globally, her scope includes policy management, strategic partnership with the business and vendor relationship management. Prior to joining DSV Katarzyna gained more than 8 years of experience in global mobility and expat management at PwC where she successfully participated in the centralization of the mobility function within the CEE Region (29 countries). Katarzyna received her Bachelor’s degree from SWPS University of Social Sciences and Humanities and her Master’s degree from the University of Warsaw. For more details please contact Dariusz. Tech savvy global mobility professional with experience in delivering client solutions in markets across Central and Eastern Europe, and the Middle East. 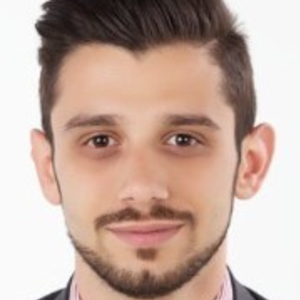 With experience in the industry since 2010, Vladimir has held business and country management positions in Macedonia, Kuwait, Czech Republic and Slovakia providing support to various multinational companies to navigate in difficult and unfamiliar business environments.